A motorized bicycle is a bicycle that has a motor, either gas or electrical, that is attached to the frame and assists with propulsion. There are few differences between motorized bicycles, mopeds and motorcycles. Generally, motorized bicycles are lower powered, and are capable of being fully propelled by using the pedals, so they can be ridden as regular bicycles. However, often times they will fall somewhere in the grey area in between definitions. To make things worse, these definitions vary between states. It’s important to know what your bike is defined as in your state, so that you don’t accidentally break the law! Our goal is to help you understand the laws that involve motorized bicycles so that you can start enjoying the many benefits of bicycling without worry. We also provide helpful listings and reviews of motorized bicycles and their products, so that you can start riding your own motorized bicycle as soon as possible. Whether it’s replacing your second car, or it’s a gift for your children – a motorized bicycle is an excellent purchase! With increasing gas prices, rising environmental concerns, insurance costs, and a hurting economy, motorized bicycles have been seeing a huge increase in popularity. It is our prediction that electric bikes will be a common method of transportation in the future. No matter what part of the world you may live in, saving money, staying healthy and helping the environment are always a concern; however, riding requirements and regulations vary from State to State in the U.S., so we’re here to help! If we’ve helped you out in some way, you liked one of our recommendations or you have a question for us, please let us know by leaving a comment! 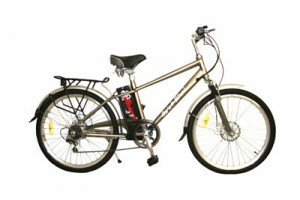 We also have a great selection of motorized bicycles for sale. We recommend getting an electric bicycle (also known as an e-bike), but we list other bikes here as well. We spend a lot of time researching our products so you don’t have to! But don’t take our word for it – the Amazon community is a great source for reviews too. And since our recommended products are linked through Amazon, you get all the same great benefits and information that Amazon provides. 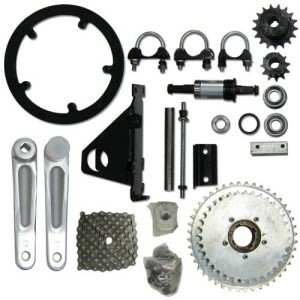 If you already have a regular bicycle and want to turn it into a sweet ride, then check out these motorized bicycle kits for sale. DIY motorized bicycle conversion kits are a great way to enable you to get outside more, save money and turn a cheap old bike into a great asset for you or your family! 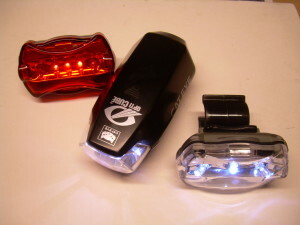 These bicycle accessories for sale are a must have for those who ride on a regular basis. Even if you don’t have a motorized bicycle, these accessories are a cheap and easy way to get more usefulness, enjoyment and safety out of your bike rides! Motorized bicycle laws and requirements vary from state-to-state. Trying to figure out the laws and requirements for motorized bicycles can be confusing and frustrating. 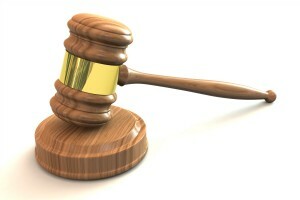 Luckily for you, we have translated all of the laws for the states here so that they are easy to understand! 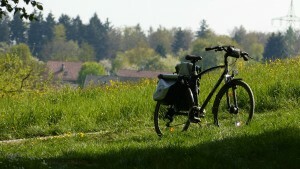 Motorized bicycles are a great investment, and the perfect way to save money, stay healthy and help the environment. If you’re not quite sure about getting a motorized bicycle yourself, we highly recommend that you read more about why motorized bikes are a good choice. Motorized Bicycle Laws in Washington D.C. Copyright © 2019 Motorized Bicycle HQ. All rights reserved.